The Walt Disney Company is one of the world’s largest mass media and entertainment conglomerates. The Disney enterprise portal, or Disney Hub, offers Disney employees the ability to request time off work online, trade shifts with other colleagues, enroll in online courses, and get reliable information about the company. We created this guide to help Disney employees with the Disney Hub login procedure. Launch your preferred browser, and go to the Disney Hub login page. You will see a form with designated fields for your ID and password. Type in your Disney email or ID in the first field. Input your password in the second field. Hit the “Sign In” button to access your Disney Hub account. Go to the Disney Hub login page linked above. Click on the Help Signing In” link. Click on the “First Time User” link. 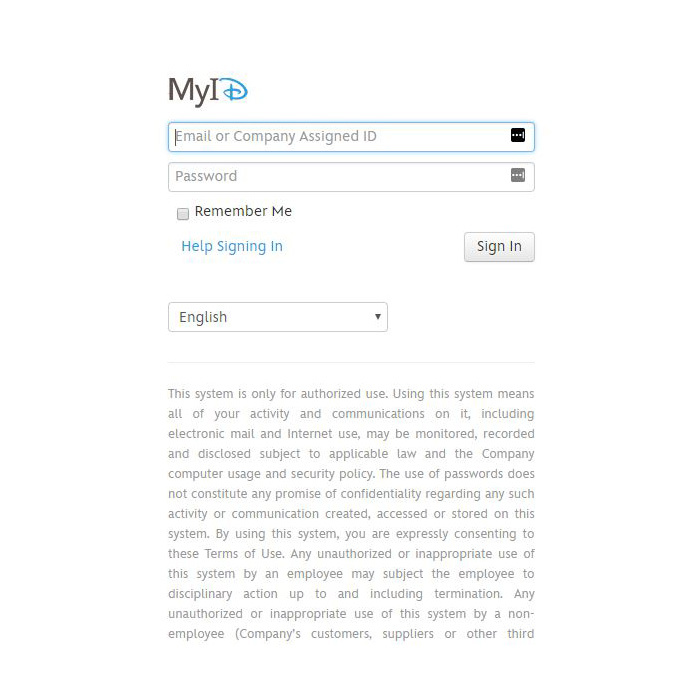 Enter the ID assigned to you by the company or your email address in the first field. Enter your last name in the second field. Click “Next” to register for an account. As a member of the Disney staff, you can also access your employee account online via your mobile browser. In this section, we will show you how to do it. Open your preferred mobile browser. Type in the Disney Hub portal login address, myid.disney.com/services/login. You will be redirected to the Disney Hub login menu. Enter your ID or email in the first field. Tap on the “Sign In” button to finish the login process. Unfortunately, there is no mobile app for the Disney Hub employee portal for now. To access your Disney employee account on a mobile device, you can only use the Disney Hub website, myid.disney.com/services/login. The most common issue Disney employees face when trying to access their employee account is forgetting their passwords. Luckily, you can easily solve this yourself. Navigate to the Disney Hub website linked above. Find the “Help Signing In” link. Click on it, then choose the “Forgot Password” option. A new window will pop up. Fill in your ID or email in the first field. Input your last name in the second. Follow the guidelines that appear on your screen to confirm your identity and create a new password. If you forget your Disney Hub ID, go to the “Additional Help” page. There, you will find information on your company ID, as well as what to do if you forget it. Below is some other Disney contact information you might find useful.